A water-based brick cleaner which actually outperforms many traditional acid-based cleaners. We treated both ends of this old cement stained brick. As you can see from the close-ups, it has been highly effective at removing the staining even down to the substrate pores. Our brick acid replacement is outstanding at removing salt bleedings, efflorescence, lime scale, ingrained dirt, mortar and cement residue. It also has the ability to remove rust, efflorescence salts, cement oil, grease, and rust from a wide range of surfaces and metals. This product is more commonly used on brickwork, concrete, paving, and tiles. Containing specialist additives to help aid performance and penetration, our water-based brick cleaner is ideal for removing stains. Although our brick acid replacement is strong and effective, it won’t damage the surfaces that it is applied to. 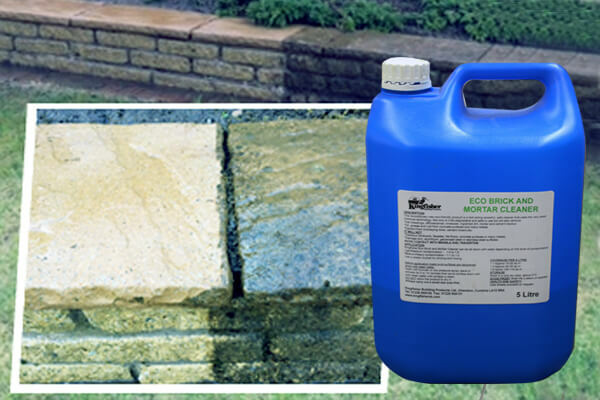 The Kingfisher Eco-Brick Cleaner (Brick Acid Replacement) will never fail to impress. It can be applied very easily, so you can rest assured of outstanding results without the hard work. 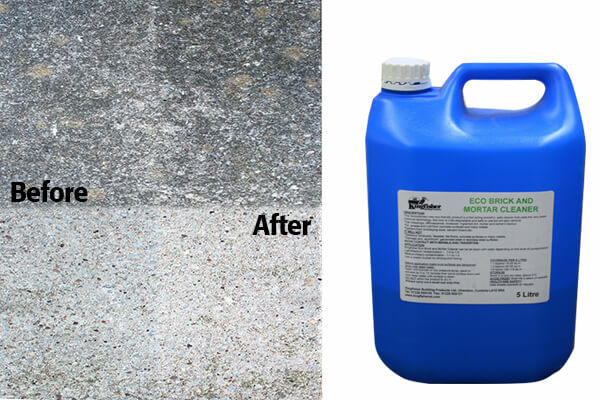 For more information on how our Eco-Brick Cleaner can help you, don’t hesitate to contact us today! I used this as part of the restoration of a (thick) black and red quarry tile floor. This was relaid from 19th Cent "earth and ashes" onto concrete/bitumen about 30 years ago, but was recently damaged by flooding from a defective freezer which had a "meltdown". I gave the floor an initial clean with soda crystals (alkaline), a domestic floor cleaner (fairly neutral) and then this product before removing the old grout. After regrouting and before sealing I gave it another blitz with this stuff and another round of the domestic cleaner. Came up a charm, and this stuff goes a surprisingly long way.